August 4th in Social Media, Wordpress Plugins by Wordpress Jedi . Social Locker: one of the best social lockers available for WordPress. It is highly customizable and supports various social networks, including Google+, Twitter, and Facebook. Like 2 Unlock: this is a Like button and content locker plugin. 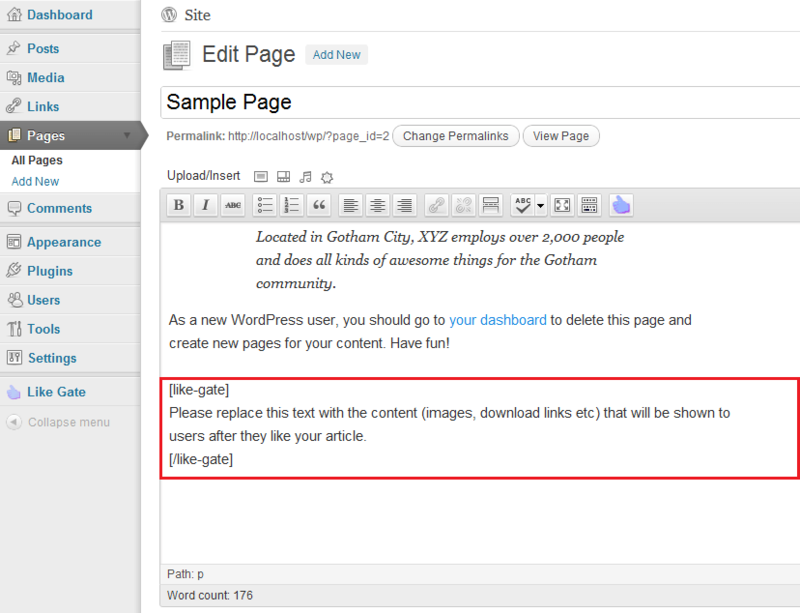 It allows you to lock certain parts of your content on a page until the reader Likes your article. Custom Facebook Fan Gate: adds an overlay pop up to your posts asking your visitors to friend you on Facebook. This plugin has stats and historical data to track your progress. Like Gate: allows you to reveal hidden content when visitors like your article. The pro version offers you even more flexibility. Facebook Like Locker Pro: allows your visitors to unlock bonus content when they Like your pages. You can have an unlimited number of lockers per page. The plugin has 8 color themes. You should be very careful how you go about implementing a Facebook fan-gate. You wouldn’t want to turn off your visitors. The above plugins allow you to test the idea though. Social Locker by OnePress is not working. They just take the money and don’t even respond to any support question!